William Henry Hart was born in the state of New York in 1829. Hart and his family moved to Kirksville, Missouri from Maysville, Wisconsin in 1867. In Kirksville Hart opened a jewelry store in the square, doing business as W. Hart Jeweler. In 1874 Hart ran for City Council and lost. In 1875 he entered a partnership with Albert Dutcher and then sold his share of the firm to Dutcher. Because of declining health, Hart said that he wanted to take up something giving more outdoor exercise. In 1850 William Hart married to Elizabeth Davidson (1831-1894) from Pennsylvania. They had 8 children: Emma Delilah (1851-1928), Rosalie (1853-1942), Henry (1855-1930), Sarah Sadie (1861-1924), twins Lawrence and Clarence (b. 1866), Volney (1872-1890) and Waren (1873-1877). The 1880 Federal Census shows Hart's occupation as a watchmaker. In 1886 Hart went back to jewelry business in the firm of Hart & Miller, and then as a owner of Hart's Jewelry Store. In December, 1890, in a fire, which destroyed the store of Hart, his son Volney died, William Hart barely survived with a broken right leg and burns on the hands and face. In 1892, Hart was back in the jewelry business again, known now as Hart & Son, with his son Lawrence who later became an osteopath. William Hart obviously was a very good mechanic and prolific inventor, because he had at least 13 patents for various instruments and devices, between them a patent for a calculator (see Hart's Mercantile Computing Machine). In 1884, William Hart (together with his wife) was one of the incorporators of the Spiritual and Liberal Association, which believed that certain spirits of a deceased manifested themselves and, in some instances, conversed with their friends on earth. 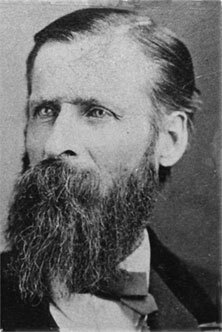 After the death of his wife on January 27, 1894, Hart continued his work and inventing, but eventually he leaved Kirksville and USA, and relocated to Mexico, where two of his children (Henry and Rose) lived. Hart remained in Los Mochis, Sinaloa, Mexico (a town, founded by a group of American utopian socialists), until his death on April 2, 1907.